The Feel & Deal Activity Deck contains over 35 engaging activities to build emotional awareness, expression, and control. Students develop these skills through activities in music, theater, science, art, language arts and problem-solving! 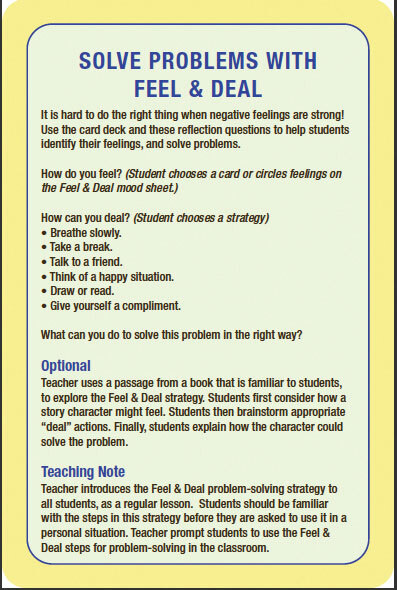 The Feel & Deal Activity Deck is a perfect tool to foster understanding and respect in your classroom. 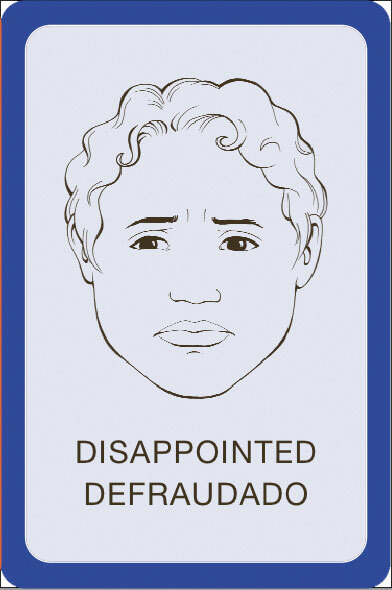 Use during classroom meetings, advisory, circle time, or counseling groups. Activities are aligned with the Language Arts Common Core Standards, grades 1-6. 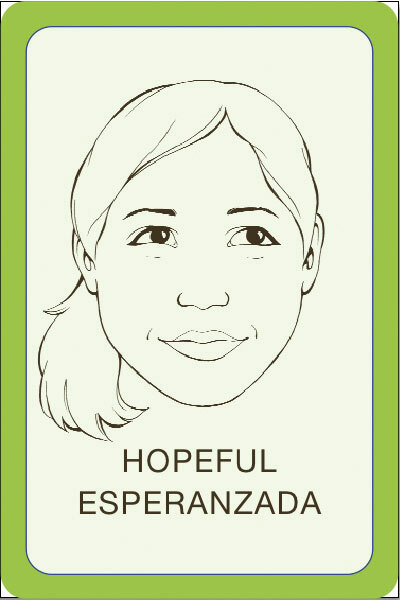 Illustrations that have been scientifically reviewed for accuracy using the Facial Action Coding System by Dr. Ekman. Online orders can only be shipped to North America at the moment. To inquire about international orders and shipping, contact Christa Tinari at ctinari@peacepraxis.com.